Modern humans have lost touch with their inner “true self”. Silence and stillness are a means of recovering happiness and contentment. In the modern world, silence has practically ceased to exist. The human race has stamped its authority over the planet Earth not just by covering its surface with concrete and destroying its plant and animal life, but also by burying the natural sounds of the Earth beneath a cacophony of man-made noise. We live our lives against the background of this cacophony, with the jagged mechanical sounds of urban-industrial society continually assaulting our ears: the roar of cars, aeroplanes and trains, the clanging and thudding of machinery, the noise of building and renovating, the chatter of radios and TVs in other people’s cars and houses, and pop music blaring from every conceivable place. But nothing, of course, has done more to obliterate silence than the car. In the modern world it’s very difficult to go anywhere where there’s no possibility of being disturbed by the sound of passing cars, and the only chance that city or town dwellers get to experience something of the quietness which existed everywhere in the pre-car world is sometimes on Sundays, when the mad rushing to and fro of modern life slows down. This quietness seems so foreign now that it seems difficult to believe that a hundred years ago and before it was everywhere all the time. Back then this quietness would even have filled the busiest city centres, which would have probably had a noise level equivalent to that of a modern small village. There’s also more noise than ever before inside our houses. It’s unusual to go into a house nowadays where there isn’t at least one television set chattering away somewhere, even if the residents aren’t actually watching it, and other forms of home entertainment compete against TV to produce the most noise: radios, CD players, computer and video games etc. In fact, the only sound which is largely absent from people’s houses nowadays is the voices of their occupants actually talking to one another. Living in the midst of all this noise is bound to have a bad effect on us. All man-made noise is fundamentally disturbing—we find the sound of birds singing or of wind rushing through trees pleasing, but mechanical noise always jars and grates. And since we live our lives against a background of mechanical noise it follows that there’s always an undercurrent of agitation inside us, produced by the noise. This noise is certainly one of the reasons why modern life is so stressful as well. In modern life our senses are bombarded with massive amounts of external stimuli—our fields of vision are always crowded with different (and constantly shifting) things, and our ears are bombarded with a bewildering variety of sounds, all of which clamour for our attention. Our senses have to absorb and process all this material, which takes up a lot of energy, and means that we’re liable to become drained of energy or ‘run down’ easily. We can get out of this state by removing ourselves from all external stimuli and letting our energy-batteries naturally recharge themselves—i.e., by relaxing. But there are so many external stimuli around in the modern world and people are so unaccustomed to the absence of it, that we may never be able to relax properly, which could mean living in a permanently ‘run down’ state. This lack of quietness has also meant is that people are no longer used to silence, and have even, as a result, become afraid of it. Along with inactivity, silence has become something which most people are determined to avoid at all costs, and which, when they are confronted with it, unnerves them. People have become so used to the frantic pace and the ceaseless activity of modern life that they feel uneasy when they’re left at a loose end with nothing to occupy their attention even for a few moments, and they feel equally uneasy when the noise they live their lives against the background of subsidies. Why else is it that they need to have their radios and televisions chattering away in the background even when they’re not paying attention to them? In other words, in the modern world silence has become an enemy. 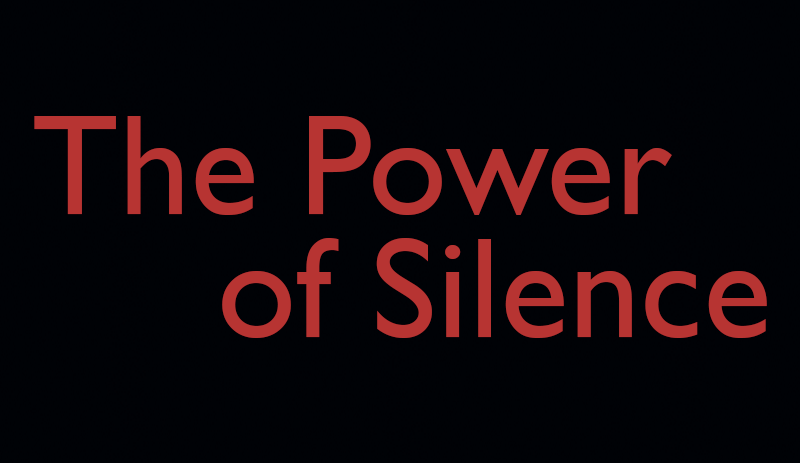 And this is a terrible shame, because in reality silence is one of our greatest friends, and can—if it’s allowed to reveal itself to us—have a powerfully beneficial effect on us. Posted on February 11, 2019 February 11, 2019 by HH Sir Godfrey Gregg D.DivPosted in OTHER POSTSTagged DAILY THOUGHTS, St. Vincent.